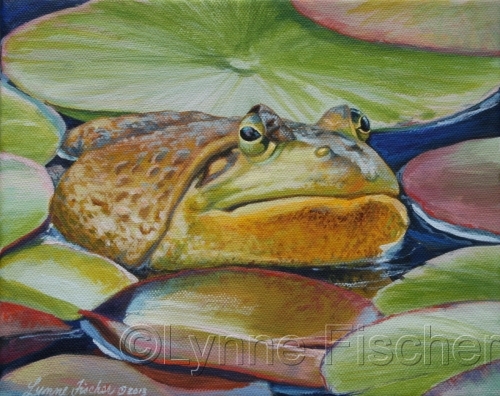 this pond visitor was lounging in the Atlanta Botanical Garden lily pond. 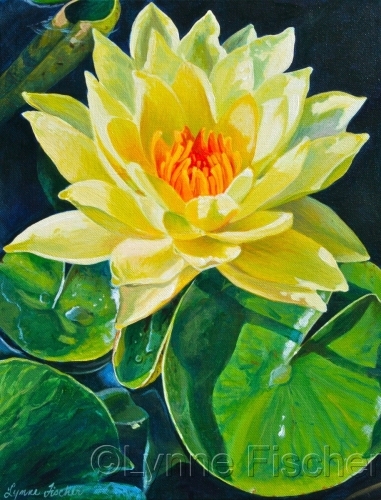 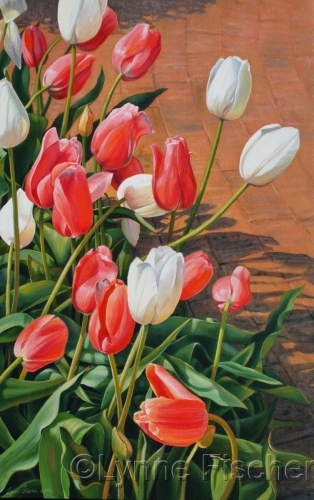 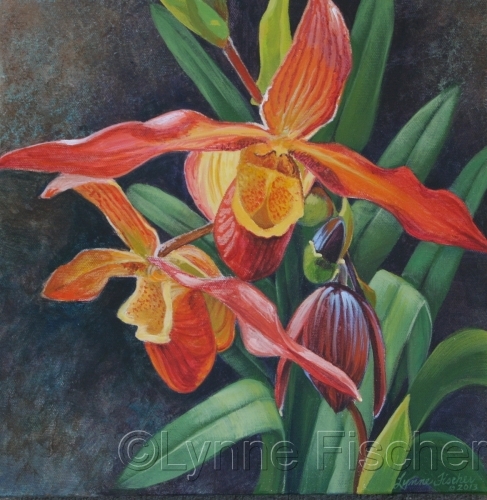 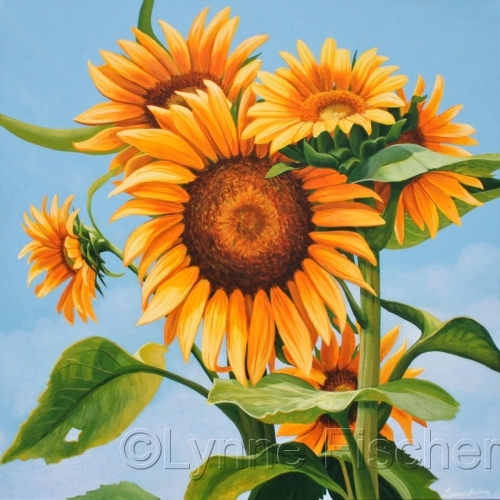 The original painting is acrylic on canvas. 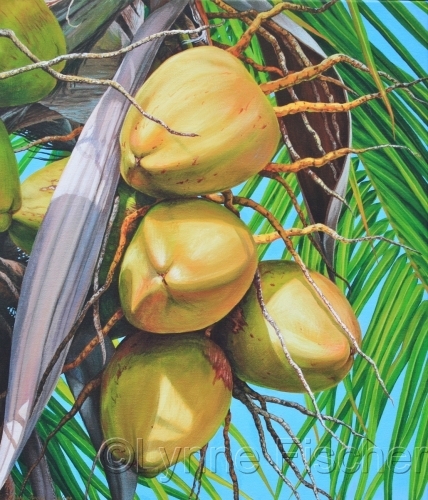 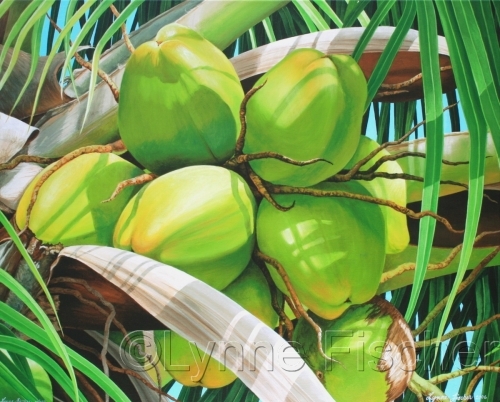 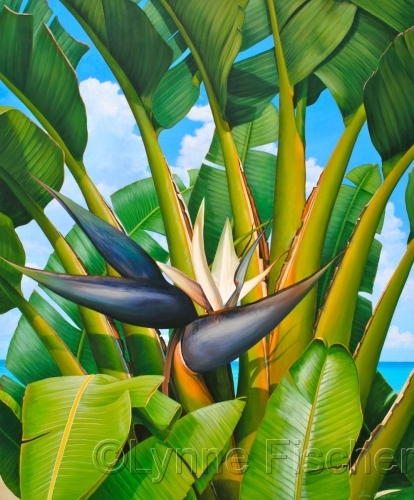 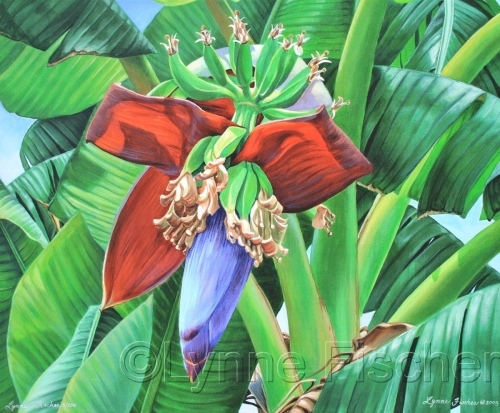 An acrylic painting of coconuts in a tropical Florida garden. 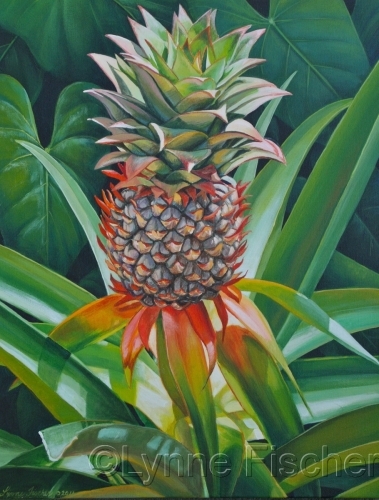 An acrylic painting of a colorful pineapple growing in my tropical garden. 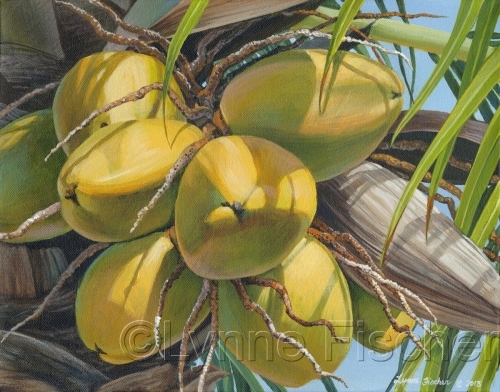 Coconuts on a tropical coconut palm. 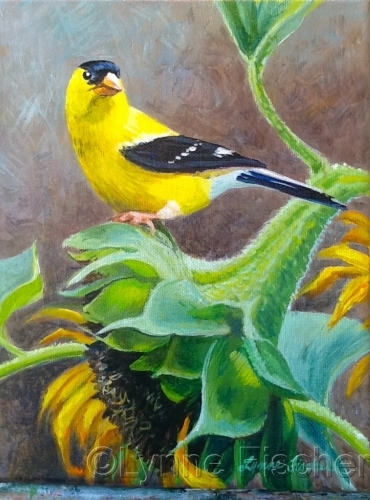 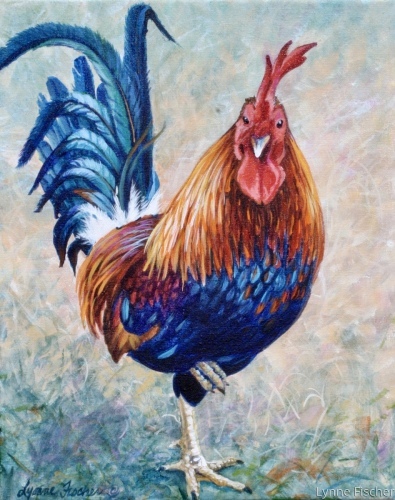 Original painting is acrylic on canvas. 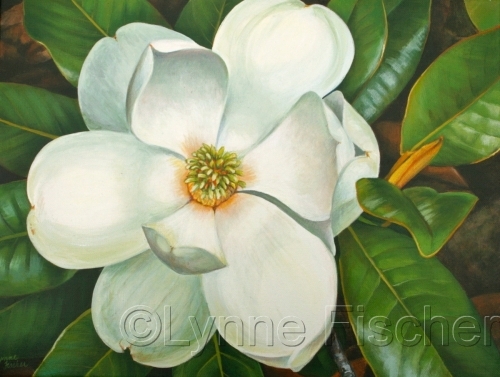 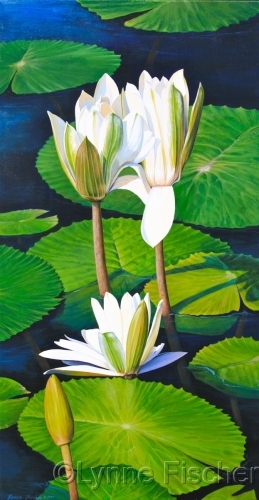 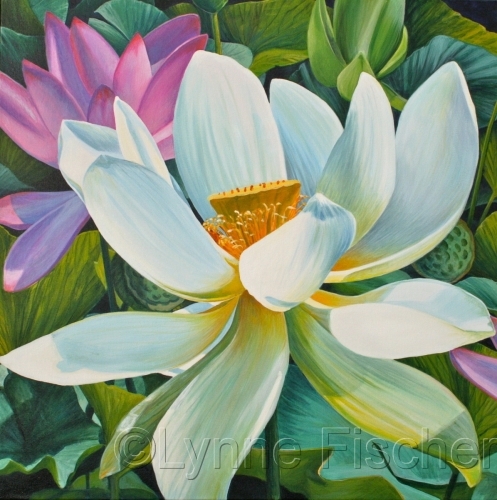 An original acrylic painting on gallery wrap canvas of a single magnolia blossom.